The new version of GFI Software’s award-winning solution for email protection brings in the latest antivirus (AV) technology from Kaspersky. The new 0-hour anti-virus engine enhances your business’s defence against the newest and most advanced threats, such as polymorphic malware and ransomware. GFI MailEssentials delivers email security to companies by scanning and filtering out all spam, viruses, malware and many other cyber threats that can seriously jeopardize your business. 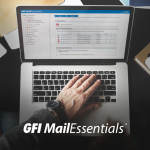 Since its launch 18 years ago, GFI MailEssentials has been a favorite choice of many sysadmins around the world to protect and secure in-house business email servers in organizations of all sizes. The solution is continuously being evolved, and a new feature has now been added to better mitigate today’s threats. To find out more about this release, we’ve talked to Ian Bugeja, Director of Product Management at GFI Software. GFI TechTalk: What is so different in the new GFI MailEssentials in comparison with the previous versions? Ian Bugeja: So far, GFI MailEssentials offered a choice of five anti-virus engines using traditional file based virus definitions for scanning incoming and outgoing emails. With AV solutions from established vendors, such as VIPRE, BitDefender, McAfee, Kaspersky and Avira, the probability of viruses and malware attacking you can be reduced to a minimum. However, most modern types of malware are capable of mutating daily and manage to deceive even the most sophisticated threat detection engines. That’s why we’ve decided to include a new feature in our product; the one that would offer our customers improved protection from the No. 1 cyber threat of today – ransomware, estimated to have contributed to business losses of about $1bn in 2016. This new version brings in the Kaspersky 0-hour cloud-based AV engine that is able to detect and block constantly changing threats known as polymorphic malware. GFI TechTalk: What are the other major improvements in the renewed product? 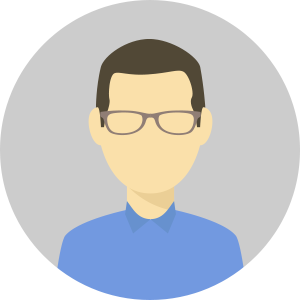 Ian Bugeja: Besides this new feature, GFI MailEssentials now brings support for deployment in a DMZ, or in environments without an Active Directory. In this case, it can be linked to the GFI Directory service, which enables administrators to manage users just like they would with an Active Directory. There have been some improvements in the user interface, so admins can now quickly clear URI and IP DNS blocklist entries, as well as Auto Whitelist entries. Also, admins can now manually force anti-virus updates to download in full, avoiding any errors and service issues that can occur due to internet connection interruptions. GFI TechTalk: Were there any changes in licensing and pricing in the new version? 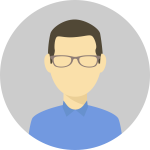 Ian Bugeja: No, the pricing remains the same, as well as the subscription licensing model, so current users can upgrade to the latest version with their existing license keys. Subscription for the EmailSecurity edition, which includes VIPRE and BitDefender antivirus updates, starts at 16 USD per mailbox annually, for companies with 25-49 mailboxes. And there are two more powerful editions available, AntiSpam and UnifiedProtection edition, which include subscriptions to more simultaneous anti-virus engines scanning emails. The new 0-hour feature will be available to users who have already purchased the Kaspersky anti-virus add-on, while other GFI MailEssentials users can add the Kaspersky AV engine by purchasing it separately, starting from 8 USD per user annually for companies with up to 49 mailboxes. If you’re interested in trying out the new version of GFI MailEssentials, it’s available as a 30-day fully functional trial here. I’m a little bit confused here, I thought that an Antivirus and an Anti-Malware kind of differ in functionality? The one that is supposed to remove zero day exploits is the Anti-Malware and the Antivirus is supposed to remove older kinds of threats. At least that’s how I know it and that’s what Linus was saying as well so you got me a little confused, perhaps you meant to say that it’s some sort of Anti-Malware? Hi George. I understand your confusion – actually, malware is a broader term, used to describe all sorts of unwanted or malicious code, and can include spyware, adware, nagware, trojans, worms, and many more, and above all – viruses. So, when you look at it this way, you’re right – anti-malware covers a wider array of threats, but the way it functions is a little different than antivirus engines, so we still differentiate these two types of applications. I see, I think I understand now, thanks.